This week we’re bringing you a super fun before and after. 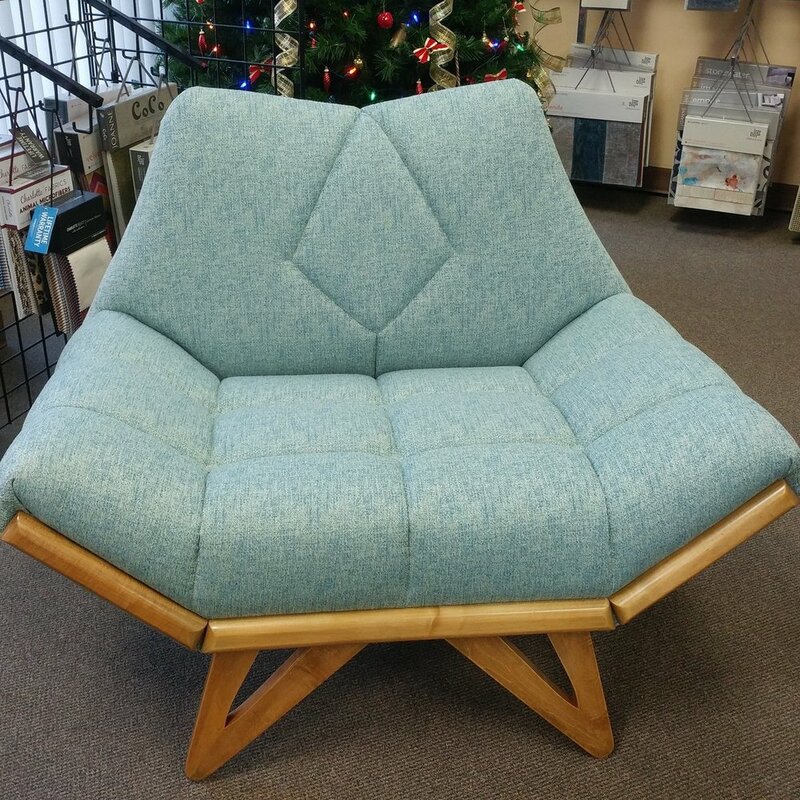 This chair came to us in a well loved mustard yellow teddy bear material and left us in a sophisticated and fun blue woven. We also stripped and stained the wood for a total overhaul.